” Breed Specific Legislation (BSL) Adverts contribute towards site running costs, but currently may not fit with the site ethos. We will continue to work on a solution. Why Is BSL Brought In? 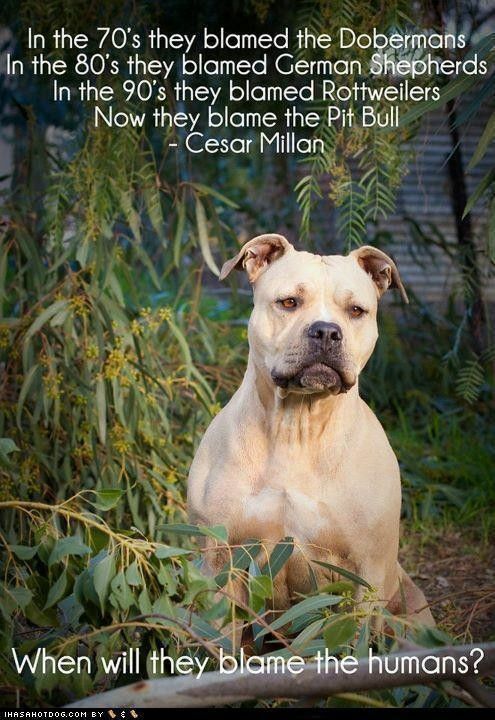 Breed Specific Legislation punishes innocent dogs who have done nothing wrong. They are punished based entirely on what breed they happen to be, or even slightly resemble. Not only that, but police or animal control classifying a dog as even just suspected “type” (a banned breed) means the dog is seized and the owner will have to pay court costs to fight for the dogs life. Even then, many times the dog will be put to sleep without ever being able to say goodbye to its owner. If the dog has no apparent owner, there is no hope for it. The legislation imposed by the court can range from dogs being legally required to be muzzled in public at all times and requiring mandatory neutering, to being put to sleep. The latter is what there is most opposition to, as it results in many innocent dogs being put to death after being seized and kept in a facility away from their family for many months. It leaves many families heart broken. As well as breed discrimination, weight discrimination against pets is in operation, as some places ban pets that weigh more that 25 pounds when fully grown. In the UK, Breed Specific Legislation was introduced and owning certain dog breeds was made illegal. Under the Dangerous Dogs Act four breeds of dog are banned – the pit bull terrier, Japanese Tosa, Dogo Argentino and Fila Brasileiro. This is despite the fact that the majority of these dogs are gentle, loving, affectionate and friendly family dogs, and completely innocent of any wrong doing. On introduction of this Breed Specific Legislation, every one of these breeds in the UK was taken from it’s family and put to death. Anybody who did not give their dog up was prosecuted and their dog was taken and put to death anyway. 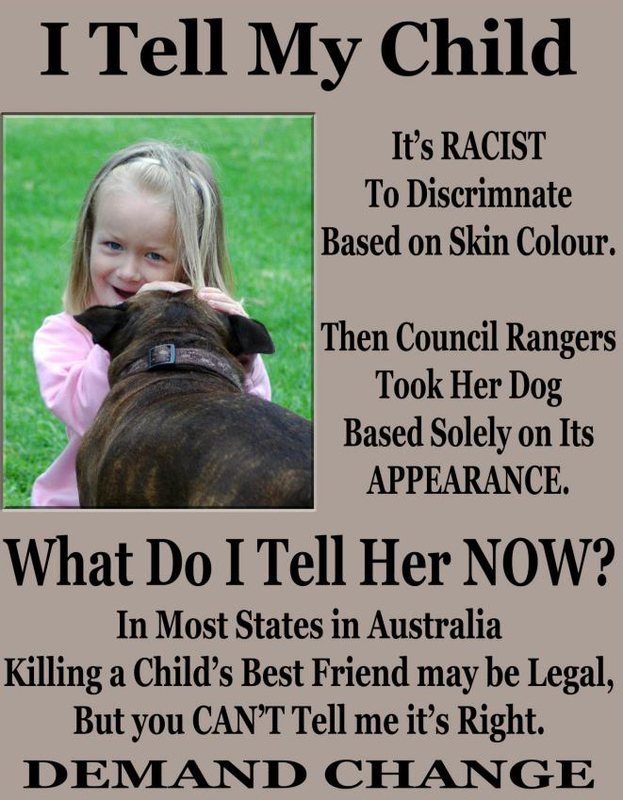 There are constantly new dogs and and their families becoming innocent victims of BSL in the UK and other countries, despite being responsible owners and their innocent dogs having done nothing wrong. In the UK, a worrying number of bad owners abused their pit bull dogs and the other breeds that have subsequently been made illegal. Many people trained them to be aggressive and treated them like weapons. This resulted in a few high profile dog attacks. Instead of seeing that dangerous dog OWNERS are the problem that need to be dealt with, the UK Government decided that making these dog breeds illegal and putting them to death was the answer. 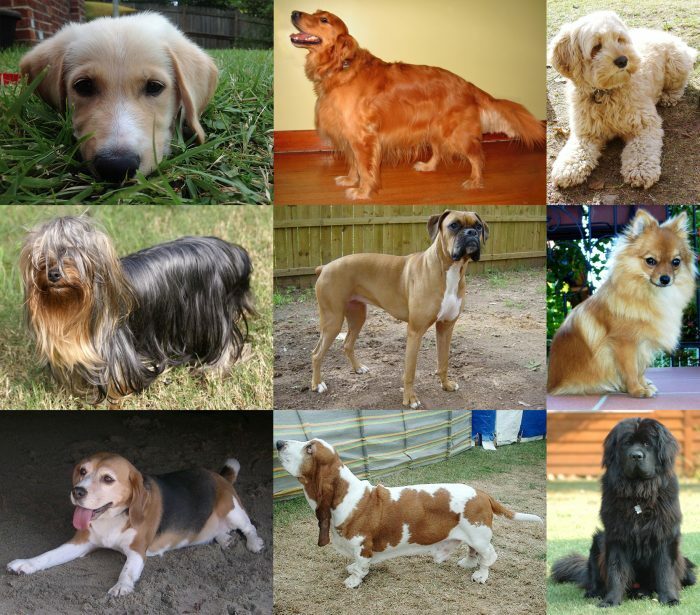 This is despite the vast majority of these dogs having shown no aggression at all. Other Governments also have similar legislation, and others are currently considering it. It looks like the UK Government are one of the many Governments happy being blind to the fact that a dog’s behaviour is nearly always due to how it is trained and treated. The UK have already rejected a bid to replace the Dangerous Dogs Act with a new law placing responsibility for a dog’s behaviour on the owner or person in charge of it. Breed Legislation has been a disaster in the UK and completely ineffective against what it was designed for. NHS figures showed the number of dog attacks had tripled since 1991, when the Dangerous Dogs Act was brought in and certain dog breeds were made illegal. Research by the RSPCA has shown that there are now more Pit Bull terriers in the UK than there were when the Dangerous Dogs Act was passed. 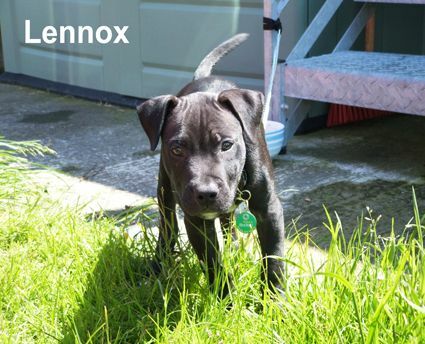 The RSPCA has said that The Dangerous Dogs Act needs to be changed to focus instead on owners, but despite the complete failure of BSL in the UK, the UK Government continue to think they know better. 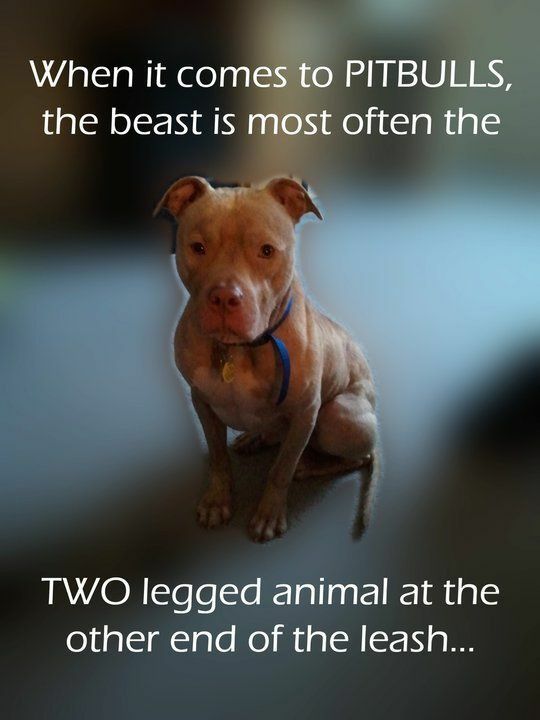 Dogs of any breed can be affected by BSL, such as the UKs Dangerous Dogs Act. Where a dog is reported as having bitten, no matter what breed it is, it is at risk of being seized, held by the local authority at an undisclosed location, and put to sleep. The court may rule that certain conditions must be met, including the dog being muzzled in public places, and the owner having third party liability insurance (£25 a year through dogs trust in the U.K.). However, the original owner may not be deemed suitable by the court for keeping dog under control. DDA watch, and BSL Victim Support U.K. could help. I personally know of a case where there was a feud between neighbours, and to get at one neighbour, the other reported their Jack Russel breed dog for biting them. To cut a long story short, the owner used their own solicitor, because they had been very positive that they would get the dog reunited with them. However, because the solicitor did not specialise in BSL and the Dangerous Dogs Act, the case was not defended as well as it would have been with expert help. DDA Watch or BSL Victim Support UK only work with solicitors they know specialise in the field. Sadly, the Jack Russel dog was seized and eventually put to sleep, without being allowed to see its owner again. The New York Housing Authority bans pets weighing over 25 pounds when fully grown and will confiscate them, so weight discrimination of pets is also in operation. This leads to owners starving dogs that should naturally be over 25 pounds for their size, to get them under the weight limit so their lives can be saved. This is another ban that causes perfectly innocent, gentle dogs to be put to death solely on the basis of what they look like. Breed Specific Legislation is completely unjust. A person cannot help but draw a parallel to racism and liken it to genocide. It causes huge amounts of distress and heartbreak for families who lose a pet they consider to be a member of their family. The legislation is in operation in many countries and continues to be a constant threat to innocent dogs and their owners everywhere. Enter “End BSL” or “Breed Specific Legislation” into a search engine to find many organisations asking for your help to end the cruel and unfair practise. Use a fundraising search engine so you can raise funds to help animals while you search. In the U.K. there are campaign groups you can get help from, such as DDA Watch, BSL Victim Support UK, and End BSL UK. You will find equivalent groups in your country. There are also others you can find by entering “BSL” into the search bar. Alternatively, you can enter the name of the breed specific legislation in your country, for example “UK Dangerous Dogs Act”. 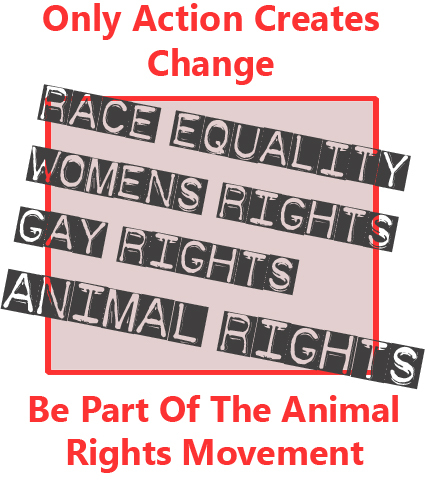 Campaigns and petitions are one tool you can use to help end BSL, as well as protests. 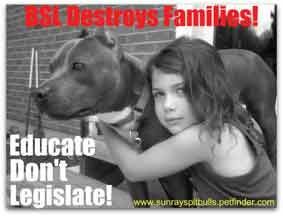 Find Other ideas on this site that could help end BSL. Some ideas will help anti-BSL groups raise funds either in a local community or online.